Geared for skin requiring extra hydration, this nourishing facial offers an abundance of botanical elements resembling the skin's own lipids, leaving it feeling dewy and supple. Additionally, vital buffing is incorporated to remove dead surface cells known to accumulate with dryer complexions. 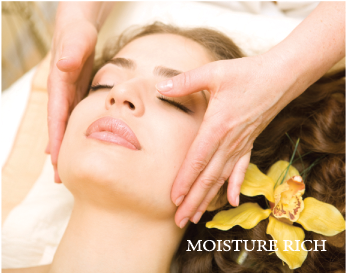 Relax as the neck and shoulders are expertly massaged, loosening stressed muscles. Experience a healthy, youthful glow.